You might remember from my last post how excited I get by the Youth Media Award winner announcements. Well, now that they have been revealed for over a month, the YALSA Hub Reading Challenge of 2015 is here! What is the Hub Challenge, you ask? Basically, the objective is to read 25 books published for young adults that were awarded something or other by YALSA. You can read all about how to participate and which books are included here. They also have a handy dandy checklist you can print out and use to keep track of your reading and listening! Lots of stuff goes down on the weekend of the Statewide high school concerts in the Bellweather Hotel. All hell breaks loose when a young flautist prodigy disappears suddenly, and her roommate claims to have seen her hanging from a pipe in their room--and that she was murdered. All while a major snowstorm descends upon them. I loved this book. Full of quirky and sometimes downright awful characters and a rather large (and perplexing) mystery, this book will keep you turning the pages pretty much until the end. 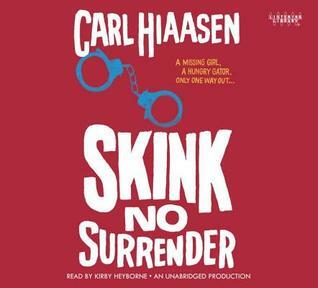 If you've read anything by Carl Hiaasen before, you know how awesome and off the wall his novels can be. If you've read any of the books that contain Skink, you especially know. Skink is a one-of-a-kind ex-governer of Florida who takes justice into his own hands, sometimes (most times) not always legally. In this installment, Skink meets Richard, our narrator, whose cousin Malley runs away with her online boyfriend--but it soon becomes clear she is in over her head. So Skink and Richard set off to find and rescue her. Heyborne, as always, does a fantastic job with the narration, and this is a fun and wild ride. I am not quite finished with this one yet, but I am thoroughly enjoying it. It's kind of a like a mix between a Victorian comedy of errors akin to The Importance of Being Earnest, and Don't Tell Mom the Babysitter's Dead. 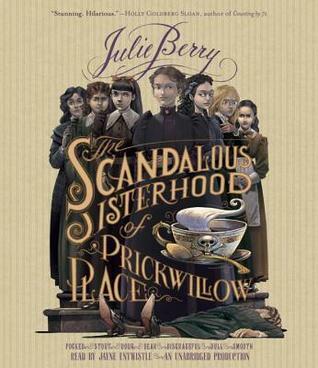 There's a lot of humor in this novel about seven girls at a boarding school for young ladies in the English countryside who try to cover up their headmistress's and her brother's mysterious deaths--by poison, as they come to figure out. There is also a nice little twist in the rising action that I SO wanted to talk to someone about, but no one I know is reading it! As always, Jayne Entwhistle's narration is just delightful. (You might recognize her as the narrator of the Flavia de Luce mysteries, which I also highly recommend.) Well deserving of its Odyssey Honor. That's it for me so far! I'm going to work on getting some of those Printz winners read soon, and the Morris Award winner and honor books. Have you read anything on the list? Disclaimer: I got all of these books from my local library, whether they were physical copies or digital. 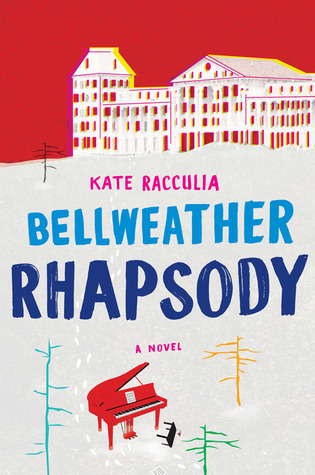 I have never heard of Bellweather Rhapsody before but THAT COVER looks awesome. And I initially hadn't been interested in the Julie Berry book bc I don't really read MG all that often but when you mentioned in the style of Don't Tell Mom the Babysitter's Dead...KIIIIIND of interested. maybe I'll do audio!